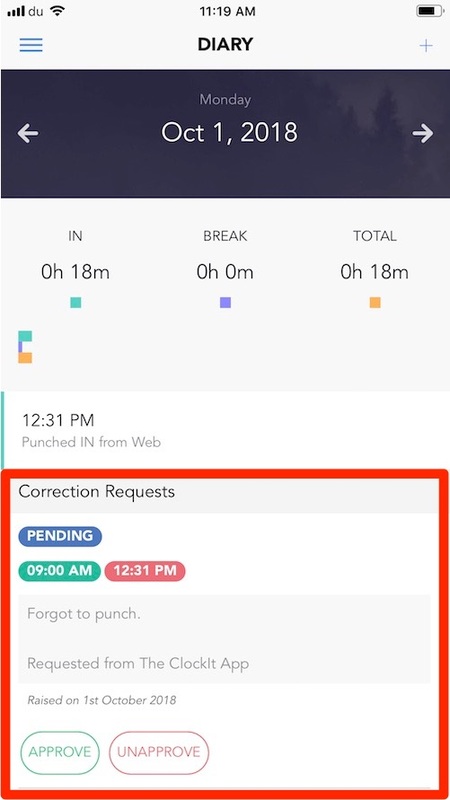 Correction Requests using the mobile apps. 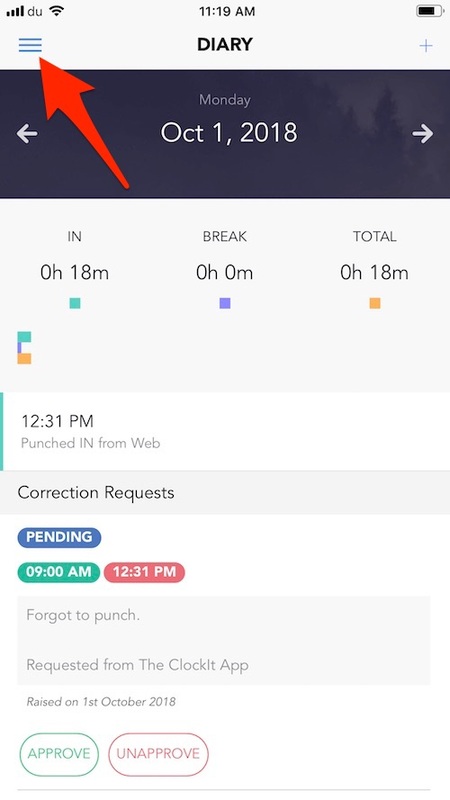 Know how to raise a correction request on the ClockIt mobile apps for iOS and Android. 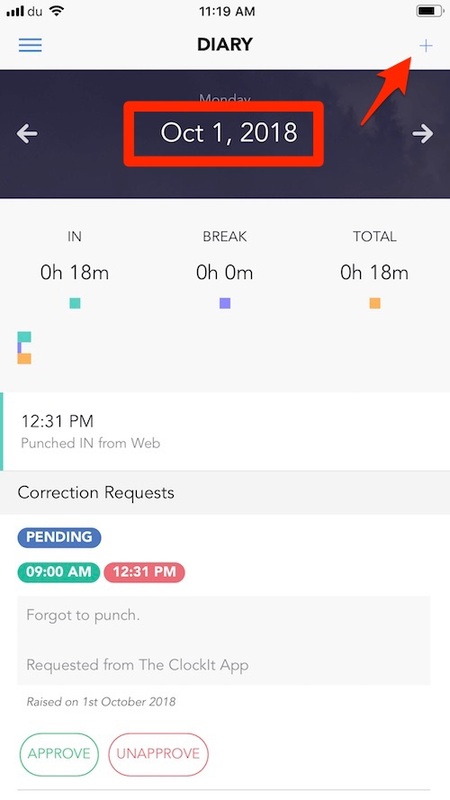 You raise correction requests form the mobile apps on both iOS and Android. To raise a correction request, click on the + button on the top right in the diary view. The correction will be raised for that day. 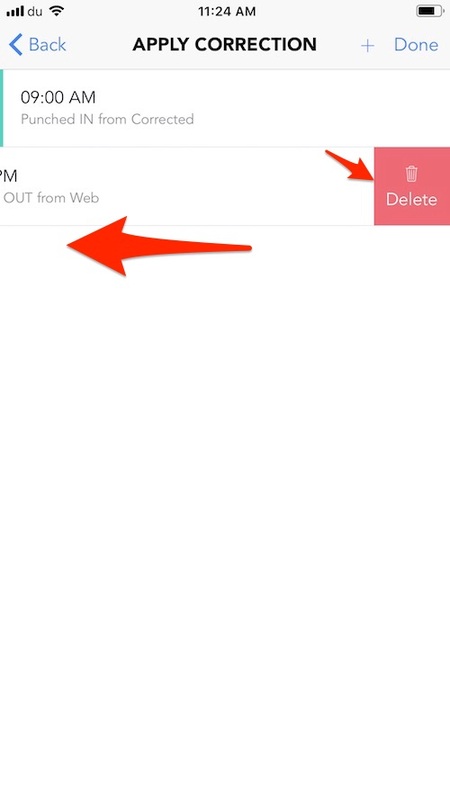 Next press the + button to add a time or slide left to delete an existing one from the list. Once all the changes are made, click on done to move to the next step. 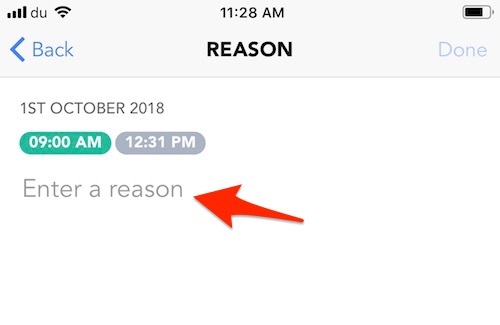 Next you will need to provide the reason why you are manually editing the time. The times that you have entered in the previous screen will show here. These are labelled by colour. 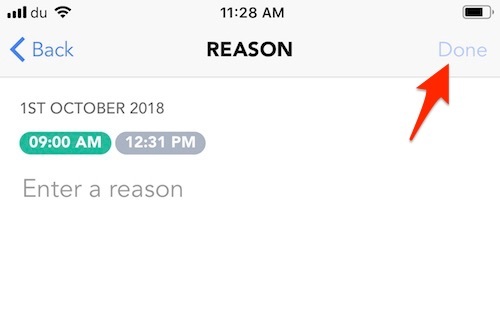 Enter the reason and click on done. 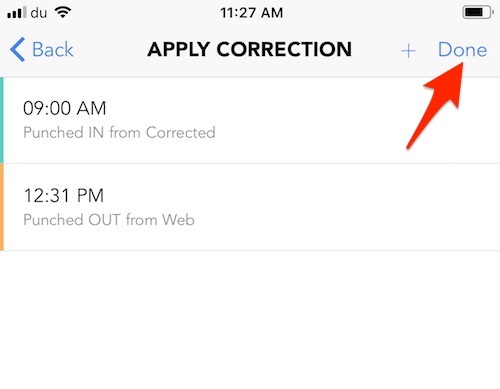 Your correction will be saved or sent for approval based on the settings of your account. Notifications will also be fired based on the settings of your account. 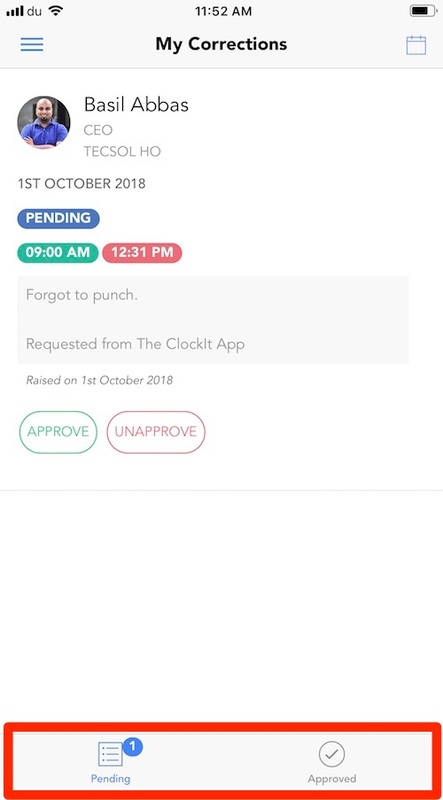 In the diary view, you will be able to see the correction that have been raised for the day and the current status if approved or pending. 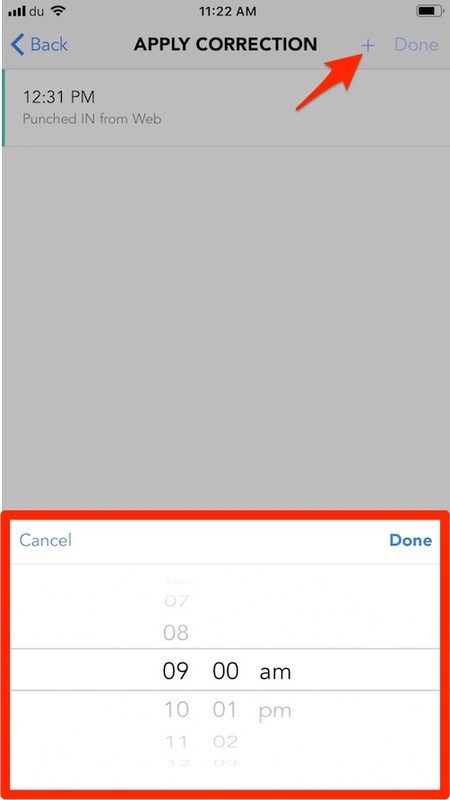 Depending on the permissions that have been assigned to you will be able to approve, unapprove of cancel the correction request. 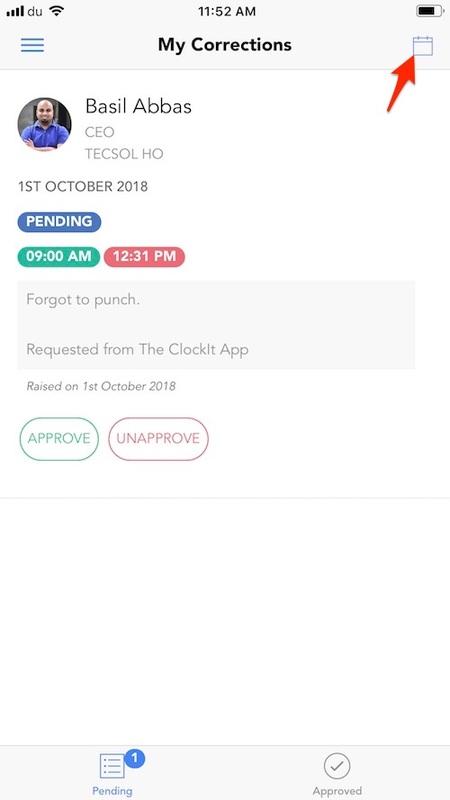 for all these action notifications are sent to the manager and the user. 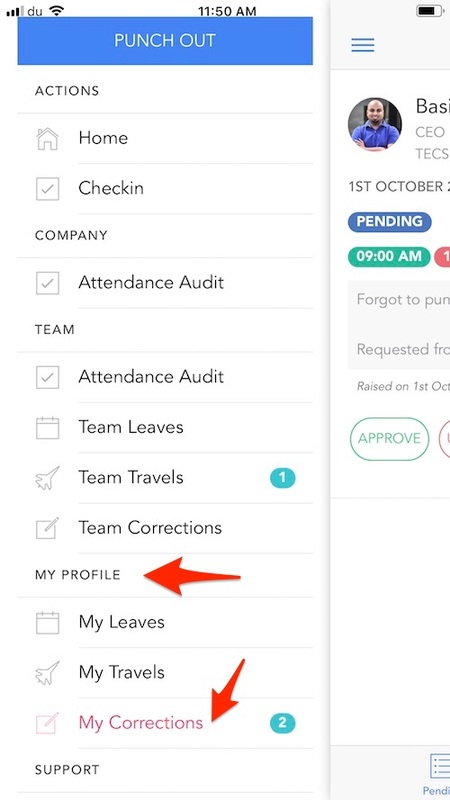 Notifications can be configured based on your company policy from the notification settings. You can see all your correction requests both pending and approved from the my corrections. You can toggle between the approved and the pending corrections by clicking on the appropriate icon form the tab bar below. 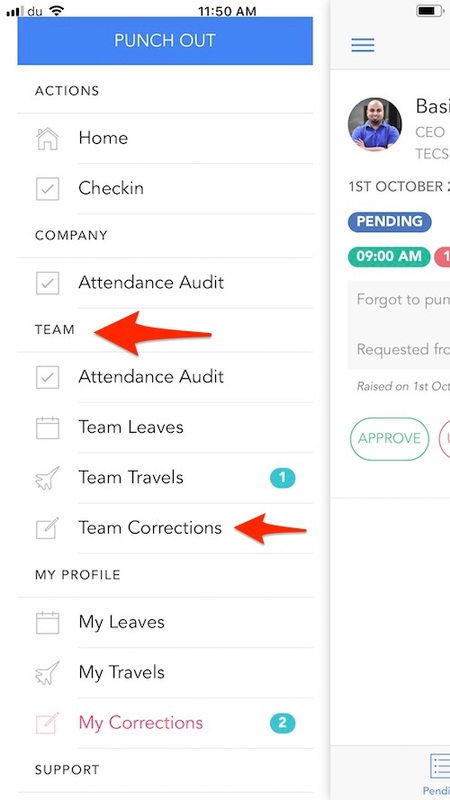 If you are the reporting manager and want to see the correction requests for your team members, click on Team Corrections from the left menu. My corrections and team corrections always show the corrections both pending and approved for the current month. If would like to change the month, click on the calendar icon on the top right.